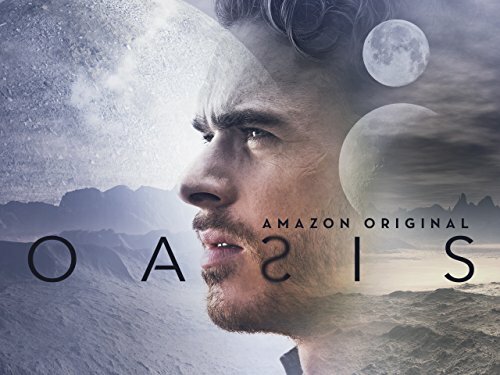 Oasis reminds you of why Amazon has a pilot season in which they test to see if audiences would even like the show before they invest in full seasons of them. In 2032, poverty has become such an issue that the 1% have put money into the Oasis project so they can eventually leave Earth. It costs 100 million to get there and with such heavy investments, one David Morgan (Jonjo O’Neill), the founder of the project, is pushing hard to make his lofty goal of Oasis supporting 50,000 families met. The problem is, there seems to be something in the water, perhaps in the dust, or the atmospheric pressure which makes people hallucinate. Said hallucinations aren’t about happy things but more so the regrets of the crew. Of which, following the figments of their imagination have gotten people hurt and, as of the end of this episode, up to 5 people killed. Part of me wants to really compare this show to 3% since it is about the wealthy and upper class abandoning the world most people live in, even cities like London, for someplace exclusive to them. However, one, of many, things 3% does better than Oasis is establish the hell that people are trying to escape from. In this show, if we spent 10-15 minutes on Earth, particularly London, I’d be surprised. Which, while it could be done in flashbacks, I feel us jumping to Oasis and Peter getting to rush through the training a person needs to get there [note]for some it takes up to 3 months[/note], was a mistake. To me, there was no real hype built up to make Oasis seem like the perfect place. We really didn’t get the proper foundation of how much Earth has become a living hell besides some imagery. We didn’t get to meet and hear from people. It wasn’t really driven home how certain areas of the world were unlivable, torn apart by war, or famine. Oasis is your generic Martian colony. There are drones and low-tech robots cleaning and watching people. There is some form of vertical farming, but there is nothing which leaves you in awe. The landscape is nothing but desert and rocks. Then with the people, while there is physical diversity, which is always nice to see in sci-fi, they are without any significant personality. Our lead in Peter (Richard Madden) is dull as bricks, despite him, as seemingly the whole crew, having some sort of record or past filled with regrets. Also, there is no single actor who you feel the need to really take notice of. No character’s story is so appealing that even if the actor doesn’t hook you, their story does, leading to perhaps the last major issue. The idea of bringing religion into a world which only needs and relies on science to survive, that was an interesting thought. However, Peter’s purpose of being a station chaplain isn’t really what is pushed when it comes to him. He isn’t consoling people and trying to help them understand their visions through the teachings of the bible. Nope. Peter is nosey and basically is more of a detective than the person who has that actual job on the station. Heck, in his one day on the station, he has found more which may help the members of the crew understand what happened to David, and maybe the hallucinations, than anyone else. There is a lot of wasted potential here and with so many shows, video games, and movies going intergalactic, the religious aspect was perhaps the one thing which could have made this show stand out. However, it seems mostly ignored and what gets focused on is of little interest. But perhaps what is the main issue with Oasis is that it doesn’t even try to build up its universe and story. It solely relies on the hallucinations and the mystery of what is causing them as a hook. Which, doesn’t work. Hence the negative label since there is something strangely generic about a show which features space travel and the mental issues which may come from not just separation from all you’ve known, but the human body’s reaction to a new biome. Offensive to any intelligent SF-lover. The religious right keep churning out garbage disguised as “SciFi”. Who is stupid enough to buy it still? This is very much on point! I wasn’t feeling much of a hook. I wanted to see more about how bad life was on earth, 3% showed that. The mystery and hallucinations were the only thing to hook you but even that wasn’t great. The planet was dull, the characters were uninteresting. There could be so much potential in this show but unfortunately it’s just not there. Which is frustrating since there are so many actors on here who are familiar thanks to other productions they have been in. So, in a way, this could be their big break. Then with Madden, he still is stuck as being known just for his role on Game of Thrones so this needed to be a breakout for him. It was entertaining. The hook is what was going on at the planet. I think people who don’t like science fiction shouldn’t review science fiction. If you care what was going on in London more than what is happening on the planet, you are not a science fiction fan.